The latest in a big week for Cardi B. MIDNIGHT !!! BARTIER CARDI FT @21savage will be available !! Cardi B released her latest single, "Bartier Cardi," tonight. 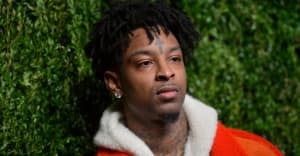 The song features 21 Savage, and was announced just yesterday, topping off a week of releases, including "La Modelo" with Ozuna. Listen to "Bartier Cardi" on Apple Music below.